CAN THE HARDYS PASS THIS EXTREME TEST OF ENDURANCE AND SKILL? Making it to the finish line of the high-endurance Fire Creek Mountain Race is going to be a real challenge for the Hardys. The five demanding events include downhill mountain biking, kayaking, cross-country hiking and climbing, biking through the city streets of Montreal, and a high-speed SeaZoom race on Lake Champlain. But when dangerous accidents begin to interfere with the events, the stakes get higher. 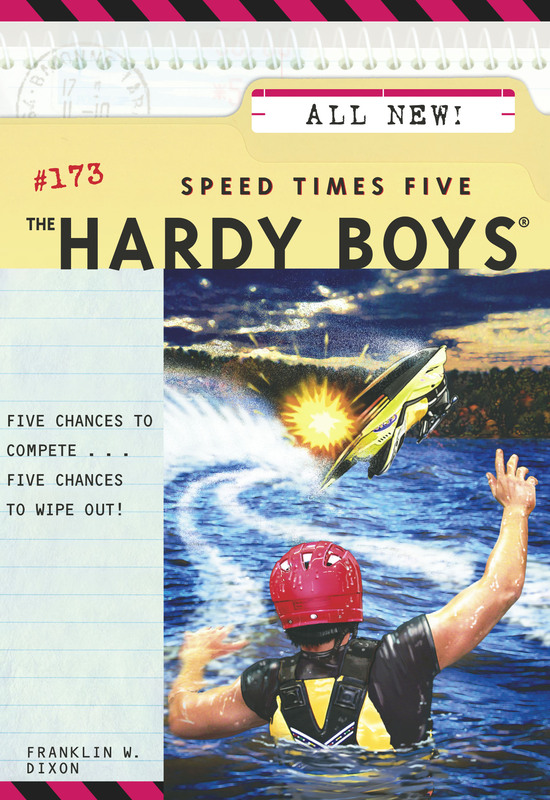 The Hardys, along with their friends and crew, Chet Morton and Jamal Watkins, learn that they have a secret competitor—one who’s using the race for a very unsporting purpose, and who will do whatever it takes to win!